Note: This article was previously published in our May 2013 e-newsletter. However, due to technical difficulties [i.e., editorial negligence], the link to the Verified Enhanced Audit Report was not working properly. You can view the report by clicking on the link below or going to Verified's website at verifiedaudit.com. 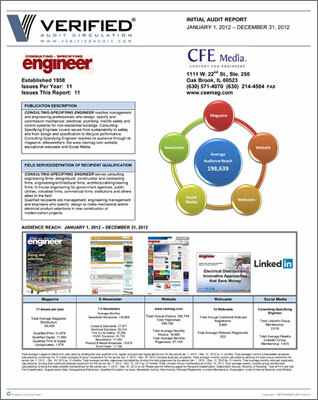 Verified Audit Circulation has released a Verified Enhanced Audit Report for three CFE Media titles – Plant Engineering, Control Engineering and Consulting-Specifying Engineer. The Verified Enhanced Audit Report is a custom report that shows a publication's total audience reach across both print and digital channels. The Verified Enhanced Audit Report is individualized to represent a brand's total audience engagement by combining print and digital audited data along with e-newsletters, social media (Twitter, Facebook, LinkedIn, etc. 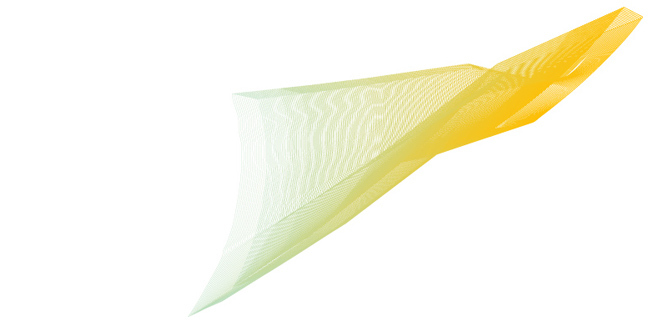 ), web traffic, webinars and white papers. "This groundbreaking report carefully details how we engage with our audience across multiple product channels and allows us to show the true reach of each brands' audience," said Rick Ellis, Director of Audience Management at CFE Media. "This type of report builds a lot of confidence and understanding in the various product offerings for brand channels," said Tim Prouty, Verified's CEO. "The Verified Enhanced Audit Report allows media buyers to look at brands as a whole and make decisions based on reliable data, creating a strategic opportunity that publishers should take advantage of." If you have any questions regarding Verified's Enhanced Audit Report, please contact Verified at 415-461-6006. Get Out There Communications Inc.
Get Out There Magazine East and West Edition (publishing Eastern Canada and Western Canada Editions) serves the Canadian endurance sports athletes and outdoor recreation enthusiasts. Get Out There profiles well-known athletes, does reviews of athletic gear and apparel, features articles about training and nutrition, and publishes an extensive race calendar. 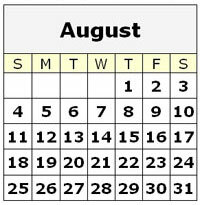 The Plant City Observer is published once a week on Thursdays. It provides free home delivery to several neighborhoods in Plant City, Florida, and can also be found in many commercial locations throughout Plant City and the publisher's office. The Plant City Observer is the only home-owned and operated community newspaper serving Greater Plant City. Social media is here to stay simply because "social networking" is an extension of what people do naturally: gather together to interact and exchange ideas. Verified can now verify your social media followers to illustrate your brand reach into the social media sphere. Verified works with social media companies to report their statistics from sites such as Facebook, Google+, Twitter, Pinterest, LinkedIn and Tumblr. Publications can add their social media to their annual Audit Report for an additional fee of just $300. If you have questions about adding social media statistics to your audit report, please contact Verified at 415-461-6006. Overall, business-to-business (B2B) media revenues are growing due to an upward trend in B2B trade shows which, together with digital advertising, more than offset the continuing decline in print advertising. The American Business Media's (ABM) Business Information Network reported that total revenues grew 3.4% from $24.6 billion in 2011 to $25.5 billion. Revenue from trade shows increased 4.4% from $11.2 billion to $11.7 billion, while print revenues fell 4.8% from $7.8 billion to $7.5 billion. The print result is roughly in line with the consumer magazine industry, where total print advertising revenues fell 3% over the same period, according to the Publishers Information Bureau. 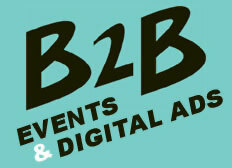 Digital was another bright spot for B2B, with digital advertising increasing 15.9% from $3.5 billion to $4.1 billion. Revenue from data and business information services increased 7.3% from $2 billion to $2.19 billion. Thus, in 2012 digital advertising contributed about 16.2% of total B2B revenues, up from 11% in 2008, while print advertising kicked in 29.4%, down from 37% in 2008. Trade shows contributed 45.8% – the same proportion as 2008 – and data and business information services accounted for 8.6%, up from 6% in 2008. Looking to the future, ABM was cautiously optimistic, noting the results of a January survey of B2B media CEOs in which 58% said that business conditions were positive, while 35% were neutral and just 7% were negative. Among respondents, 60.5% expected business conditions to be even better next year, while 37% were neutral and 2% negative. According to a new study by the Chief Marketing Officer (CMO) Council and NetLine, only 9% of business buyers approve vendor papers for the value and trustworthiness of their online content, while 67% rate content produced by professional organizations as more usable and relevant. Industry white papers are valued most by 50% of the respondents. B2B marketers annually invest an estimated $16.6 billion in digital content publishing to acquire business leads, influence customer specification and consideration, as well as educate and engage prospects, says the report. But, despite spending about 25% of their marketing budgets on content creation, most companies lack the necessary strategies, competencies and best practices to effectively engage their markets. And very few have content performance measures and metrics in place to measure effectiveness and calculate ROI. "B2B buyers are looking for content that's original, consultative and highly pertinent," said Donovan Neale-May, Executive Director of the CMO Council. "Vendors are failing these buyers with promotional and technical content [that] doesn't adequately address market challenges and customer needs." The report, Define What's Valued Online, shows that online content plays an essential role in influencing B2B purchasing decisions. The survey provides a snapshot of B2B content sourcing behavior as well as how content seekers rank, rate, share and value content online. The CMO Council's Content ROI Center concludes that too few marketers have fully grasped the role and value of content in the process of sales lead acquisition, qualification, conversion and closure, or its contribution to customer retention and revenue generation. The report states that channel analytics and content testing are needed to further the "precision acquisition" of qualified, actionable leads. According to the annual World Press Trends survey of the World Association of Newspapers and News Publishers, print newspaper circulations continued to rise in Asia and decline in mature markets in the West, while digital advances have increased the audience for newspaper content as never before. But the growth on digital platforms is not being followed by consequent growth in advertising revenues. An analysis of the trends data shows that news sites enjoy high readership, but the level of reader engagement is low. "Newspapers reach a vast number of readers in print, online and mobile [while] advertising engagement in print keeps performing well and improves in many countries," said Vincent Peyrègne, CEO of WAN-IFRA, presenting to more than 1,500 publishers, chief editors and other delegates at the combined World Newspaper Congress in Bangkok. "Newspaper professionals understand [the] benefits offered by the digital world to improve the quality of their conversation with communities, identify [expansion in] new territories, help reduce the complexity of the world and increase the trust of their audience." Mr. Peyrègne addressed the basic challenge to the news business as "an opportunity to come back to our core mission and values, empowering free citizens by providing them with the news and information necessary to make informed decisions in society." Newspaper advertising revenues declined 2% globally in 2012 from a year earlier, and 22% since 2008. The five-year decline was driven primarily by newspaper advertising declines in the United States, the world's largest advertising market. Print advertising fell 42% in the United States over five years, accounting for nearly three-quarters of the global loss in newspaper advertising. The decline in U.S. newspaper advertising revenues reflects the U.S. publishers' traditionally high dependence on classified advertising, says the report. An estimated 80% of classified is now digital. Though much of it is among "pure players" that are owned by publishers, that revenue is not reflected in industry statistics. The biggest challenge for publishers continues to be how to increase the engagement of audiences on digital platforms. While more than half of the digital population visit newspaper websites, newspapers are a small part of total internet consumption, representing only 7% of visits, only 1.3% of time spent, and only 0.9% of total pages visited. According to the Alliance of Audited Media, nearly half of U.S. publishers now adopt some form of paid-content model. 40% are using a metered model, one-third charge for premium content, 17% require payment for any access, and 10% use some other model. Mobile and tablets are rapidly becoming a medium of choice for many news consumers, accounting for 20% of page views in markets where data is available. Research in the United States, Germany and France suggest that news engagement via tablet, as measured by time spent with news content, is equal to that of the printed newspaper. 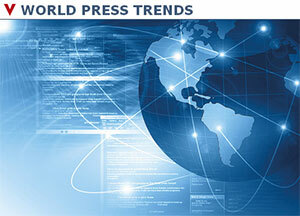 For the first time, World Press Trends includes definitive readership data on the Middle East. Readership varies enormously, ranging from 5% of people in Iraq to 70% in the United Arab Emirates and Kuwait. Finally, WAN-IFRA reports a direct correlation between newspaper success and their appeal to female readers. As readership levels rise, so too does the ratio of female-to-male readers. In Iraq, one-third of readers are women, compared to Kuwait where more women read newspapers than men.